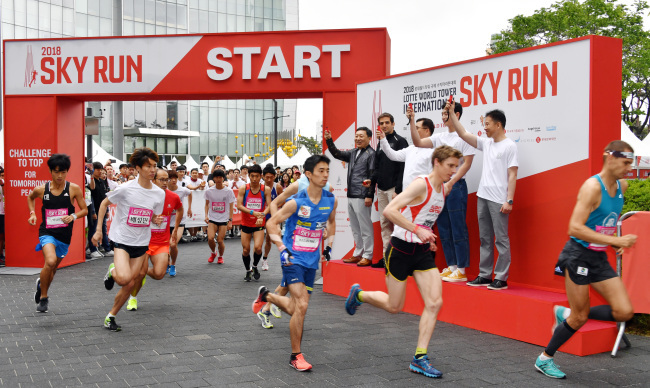 The 2018 Lotte World Tower International Sky Run wrapped up on Sunday morning. 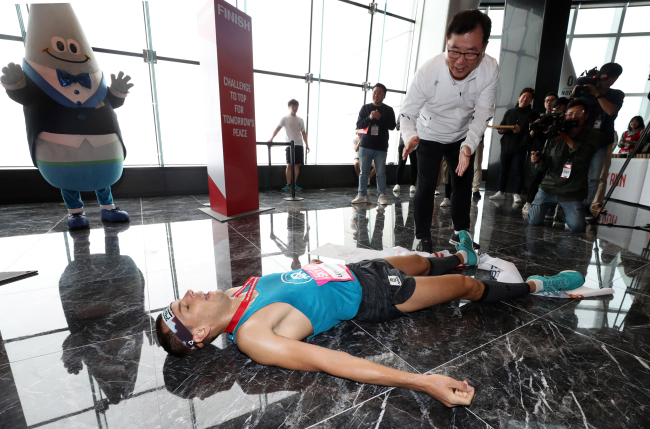 A total of some 1,500 vertical runners and citizens ran up from the Arena square on the bottom floor to the 123rd floor of South Korea’s tallest building, in Songpa-gu, Seoul. 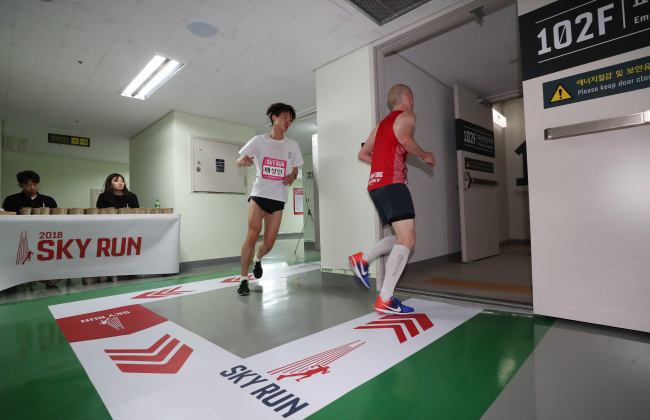 Twenty-four professional vertical runners -- 12 men and 12 women -- participated in the elite competition. Piotr Lobodzinski from Poland and Suzy Walsham from Australia came in first, at 15 minutes 53 seconds and 18 minutes 45 seconds, respectively. 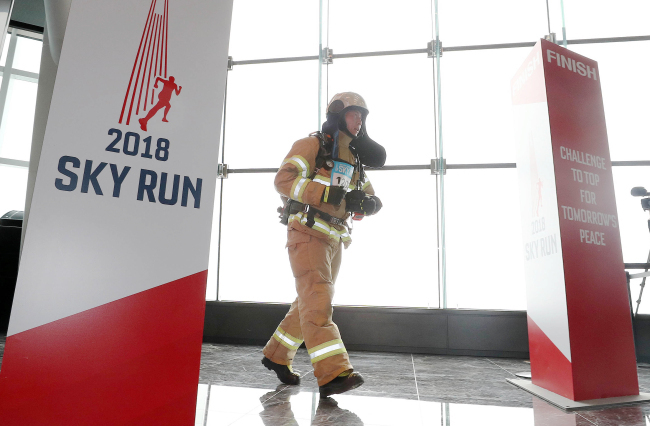 Participants in the 2018 Lotte World Tower International Sky Run pass the 102nd floor during their run up to the 123rd floor. A rescue worker from Seoul 119 Special Rescue Service arrives at the finish line. 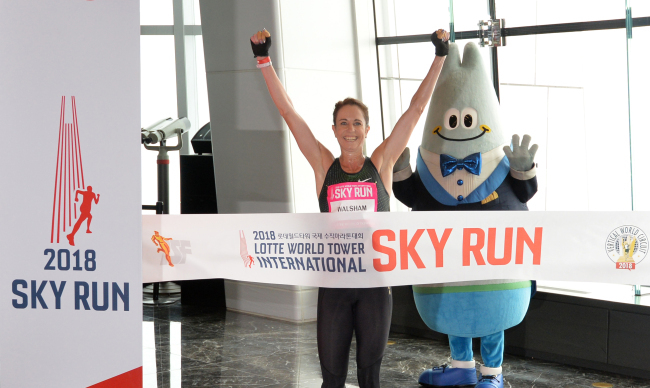 Suzy Walsham, a vertical runner from Australia, celebrates coming in first place among women participants at the 2018 Lotte World Tower International Sky Run. 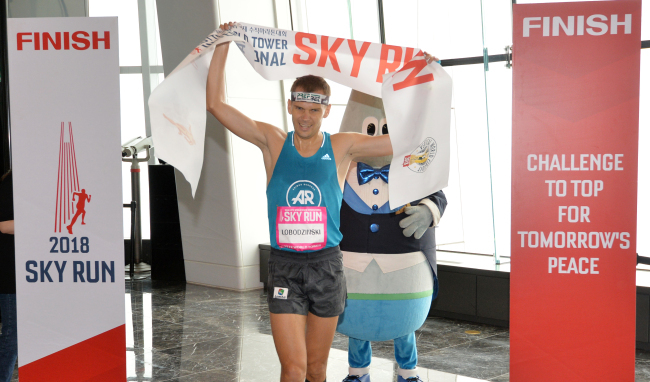 Piotr Lobodzinski, a vertical runner from Poland, celebrates coming in first place among male participants in the 2018 Lotte World Tower International Sky Run. 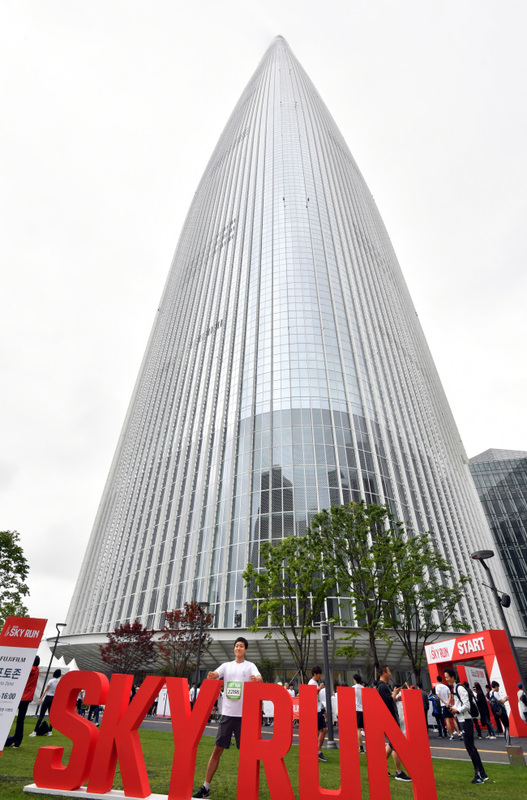 The Sky Run at Lotte World Tower is the world’s highest Vertical World Circuit with a total of 2,917 stairs to climb. 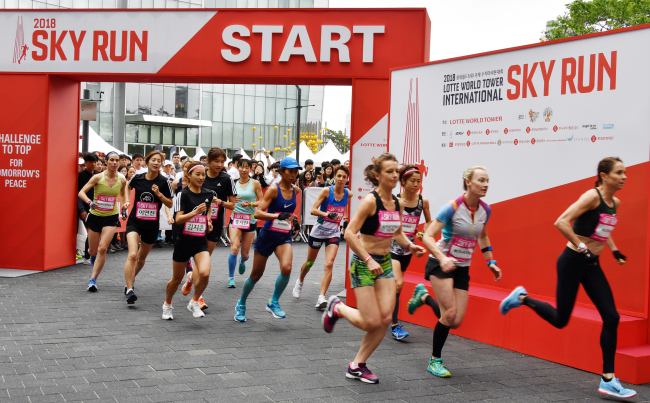 Proceeds from the race entry fees go to ChildFund Korea.